For whatever reason, the word "terrorist" still has currency across the spectrum of the broad left. Perhaps it should be of little surprise that anyone would want to immediately translate their feelings of moral indignation into the language of the state. However, the more curious matter is the way in which the left employs the word "terrorist" to eclipse some possibly more useful & illuminating signifiers. I had personally hoped that the lampooning of Giuliani's campaign for the 2008 presidential elections spelled the death knell for the use of "terrorism" to end conversations on the ideological and organizations intricacies of political mass violence. Instead, the opposite has appeared to happen. The left, in an attempt to race-bait the right, has eagerly applied the appellation to every mass murderer who cannot immediately be identified as marginalized. Of course, the right-wing media doesn't really care if it's race-baited and is perfectly happy to differentially apply the term "terrorist." In the Current Year™, the implication of one's endorsement of racism just doesn't have the same earth-shattering consequences as it did in the few decades following desegregation and the Civil Rights Act. In an era of #cuckservatives and armed white nationalist "protesters," it's becoming increasingly less dangerous to be a neo-Nazi than it is to oppose them. The National Press Club is run by journalists from news outlets as prestigious as Bloomberg and Al-Jazeera. 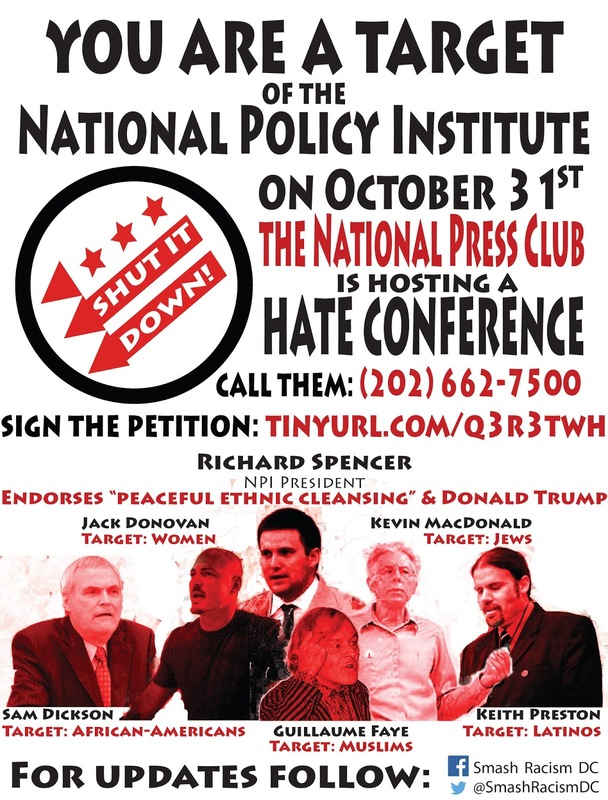 This October it will host a conference of neo-Nazis. 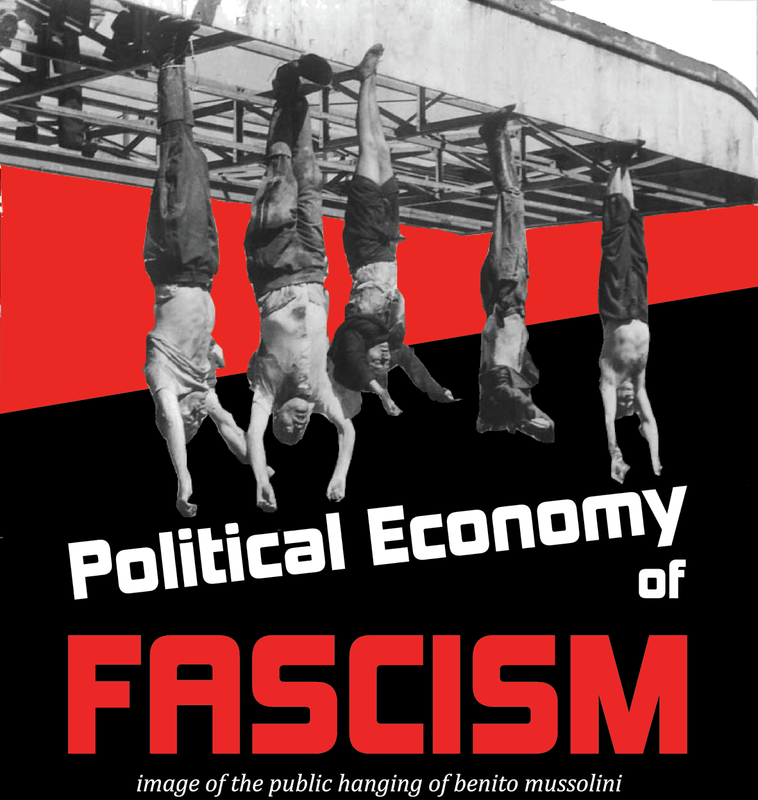 The National Policy Institute’s biennial conference serves as a meet and greet for an array of well-funded affiliates of this ideological bridge going from mass murderers like Dylann Roof and Rusty Houser to windbags like Donald Trump and Ann Coulter. While the National Press Club defends its decision to host the conference by standing behind its “108 year history representing the values of freedom of speech, freedom of the press,” they seem to ignore that fascism as an ideological position has a 93 year history of opposing freedom of speech and freedom of the press.